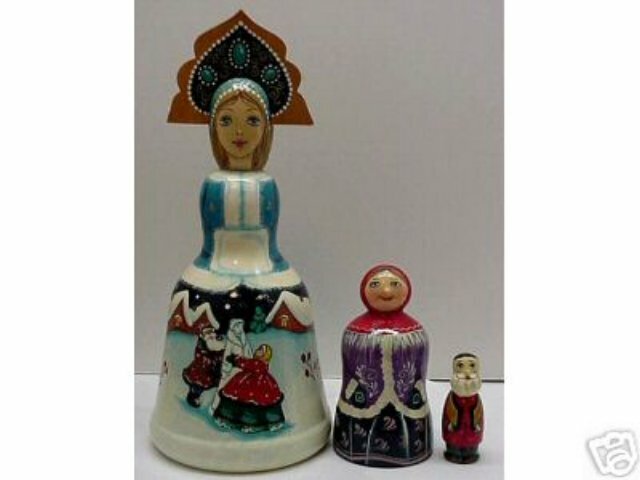 Made in Russia, this unique Snow Girl set depicts the traditional Little Snow Girl tale. The tall Snow Girl wears an elaborate hat and is very uniquely shaped. Inside is the mother and father, also both uniquely shaped. Rolled from the snow of spring, Warmed by the sun of spring. And make you such a pretty dress, And teach you four times four.